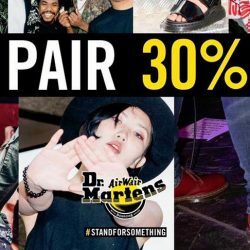 Till 25 Aug 2016 Dr Martens: Get a 2nd Pair of Dr Martens at 30% OFF! It's back! Get your chance to own 2 pairs of Docs for a lesser price. Check out their shops in Capitol Piazza, Wheelock Place and Orchard Gateway for more details. This promo will run from 12 August until 25 August only. Bring a friend down and get a pair of the iconic Dr Martens boots each! 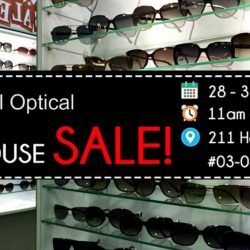 Capitol Optical will be having a warehouse sale from 28 to 31 July, 11am to 7pm. Enjoy up to 80% off for designer eyewear and sunglasses from Ray-Ban, Prada, Gucci & more! Working or happen to be hanging out around City Hall area? 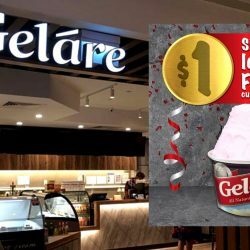 How about dropping by from 23 - 26 June to get a coupon for $1 single scoop ice cream at Gelare's new cafe at Capitol Piazza! Value Executive Set Lunch is now available at our Capitol Piazza and ION Orchard outlets! 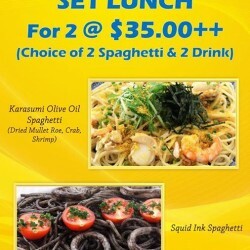 Choose 2 Spaghetti between Squid Ink Spaghetti and Karasumi Olive Spaghetti, and 2 selected drinks at only $35.00++! Quick! You cannot find these spaghetti in our regular menu! *Available for limited period only. 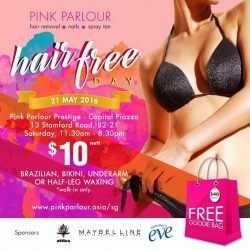 Only available from Monday to Friday (excluding Public Holiday), from 11:30AM to 3:00PM. Happy TGIF! 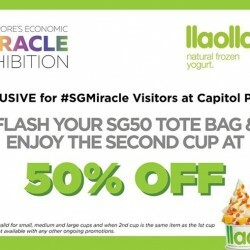 Enjoy 50% off your second cup of yoghurt when you present your SG50 tote bag from the Singapore's Economic Miracle exhibition at llaollao Singapore! Only valid at Capitol Piazza's outlet. Terms and Conditions apply.